All it takes is an e-mail address. You can subscribe by entering your e-mail after clicking the Subscribe or Follow link on the top right side of this page, below the Search box. Simply click on Confirm Follow…and your subscription is complete. 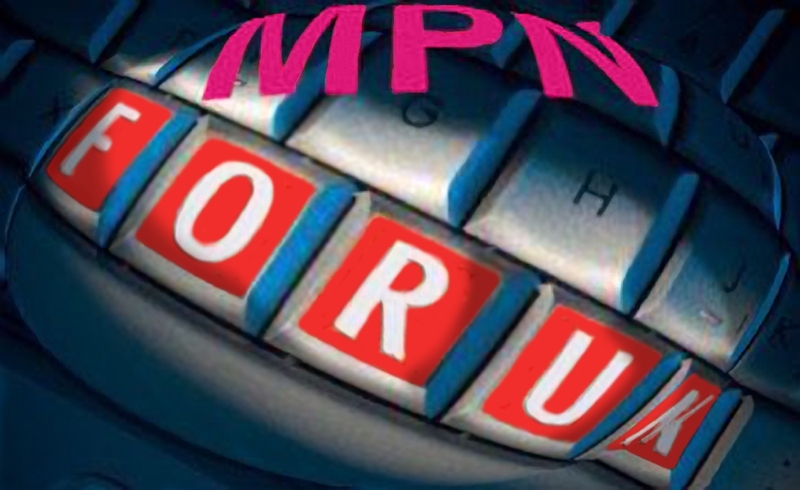 Thank you for your comment requesting subscription to MPNforum. 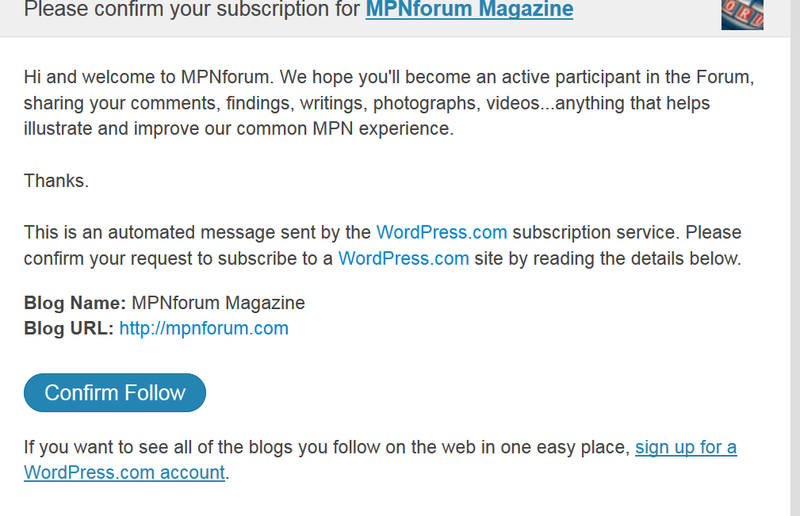 To subscribe, please go to https://mpnforum.com/subscribe-to-mpnforum/ or click on the Subscribe link at the bottom of the Home Page. Unfortunately we are not permitted to subscribe for you, but it only takes a few seconds. All you need do is supply your email address.